Meet Katie—a Senior Human Biology, Health, and Society major at Cornell University whose involvement with the Cornell University Deaf Awareness Project has prompted her to advocate for the inclusion of ASL to the university’s curriculum. 1. When did you start learning American Sign Language—what inspired you and how did you get started? I first started learning ASL in Kindergarten. My teacher was fluent in ASL, and used it frequently in the classroom. By the end of the year I could communicate in ASL pretty well, but throughout the rest of elementary, middle, and high school, I didn’t have the opportunity to practice or learn more, so I forgot a lot of the signing that I knew. In college, I started learning ASL again when I joined CUDAP (the Cornell University Deaf Awareness Project). As part of the club, we learn translations of popular songs in ASL, and I just thought it looked so cool! I wanted to be able to speak for myself—i.e. 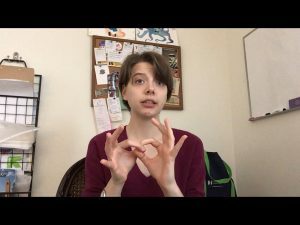 not just follow a translation of a song—so I started following an online video course created by an ASL professor in California, Bill Vicars. Now I lead a self-study group with other Cornell students following the same video course; it’s a lot of fun, and very useful! 2. Why do you think it’s important for young adults to learn American Sign Language? The d/Deaf have so much to offer, yet so often their ideas and contributions are ignored because we don’t make the effort to communicate effectively. I think that learning American Sign Language helps open those doors of communication, to make sure that d/Deaf perspectives are heard and valued. For the past few years I’ve been advocating to make Cornell more accessible for the d/Deaf, and I think the best way to do that is to listen to current d/Deaf students, ask them what they need, what they think would be more useful. It’s much easier to do that when I can communicate with ASL. 3. 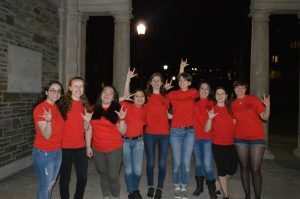 The Cornell University Deaf Awareness Project just successfully advocated for the implementation of American Sign Language courses to Cornell University’s curriculum. For other aspiring language advocates, what was your first step in accomplishing this? This first step was finding a group of highly dedicated advocates. CUDAP faced relatively little opposition in the sense that almost everyone we talked to thought ASL classes were a good idea, but securing funding was a decade-long struggle. To tackle that problem, we really had to be flexible, and try many different angles; that took a lot of stamina! I’m thrilled that I have the privilege of being part of the board that ultimately succeeded, but there were plenty of dedicated CUDAPers before us who worked every bit as hard, knowing that success would come eventually. 4. How has your involvement with CUDAP shaped your understanding of the Deaf Community? 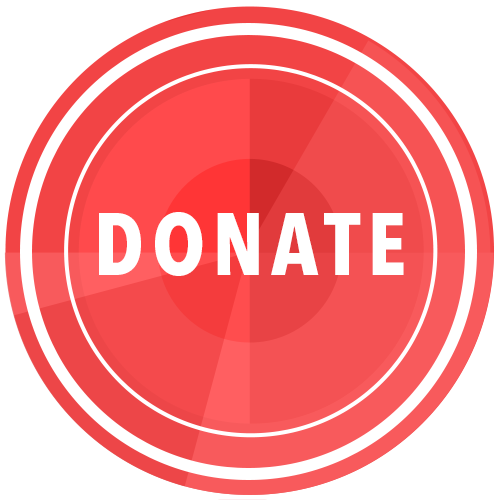 How do you think CUDAP has helped others (at Cornell and beyond) understand the Deaf Community? I knew very little about the Deaf Community before joining CUDAP, but as part of the organization I have learned about the systematic discrimination they face, despite having so much to offer. At the same time, I’ve seen how simple accommodations like interpreters can make a huge difference by opening up new opportunities. I like to think that CUDAP has made Cornell more aware of the Deaf community, and we have seen accommodations improving slowly but surely on campus. As a Creative Writing minor, I was thrilled last semester when the English department at Cornell started providing ASL interpretation at live reading events! 5. What advice do you have for students who are learning American Sign Language? Are there any practice tips you can share? Remember to practice sentences along with vocabulary! After my first few months of really focusing on trying to learn ASL, I knew hundreds of signs but had no idea how to piece them together. Watching proficient signers is a great way to learn syntax and grammar (e.g. interpreted poetry readings, YouTube channels run by native signers, etc.). The Bill Vicars video series I mentioned above also has a lot of great practice sentences. BONUS QUESTION: We see you using “d/Deaf” in your responses—can you explain what this means? The term “deaf” refers to someone who physically can’t hear, while “Deaf” refers more to identity and the Deaf community, and the sense of pride they feel to belong to that community. Usually this includes using ASL frequently in their day-to-day life. Not all deaf people are Deaf, so using the term “d/Deaf” indicates that I’m talking about anyone who is physically or culturally d/Deaf. Interested in exploring language scholarships, university programs, or student testimonials in ASL or another language? Visit our Choose Your Language page to learn more. And, as always, don’t forget to share your language learning story @LeadWLanguages on social media!